Greasy Kulture started in 1999 as an obsession. 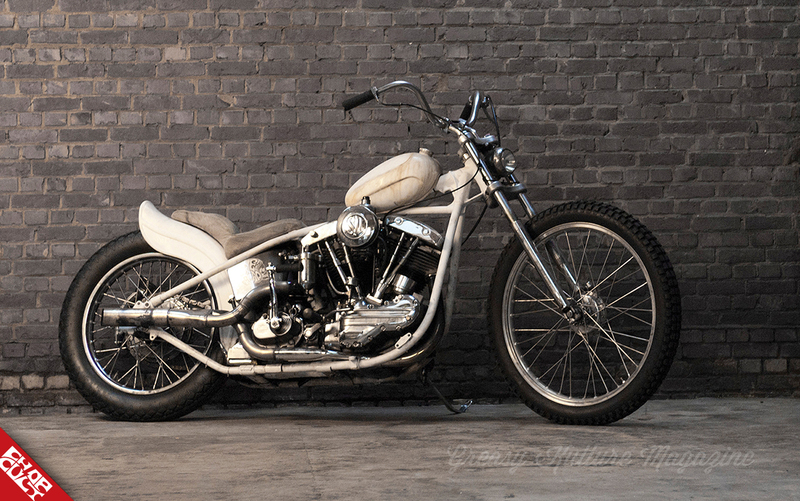 And our heartfelt passion for old motorcycles and a life on two wheels hasn't abated one tiny bit. 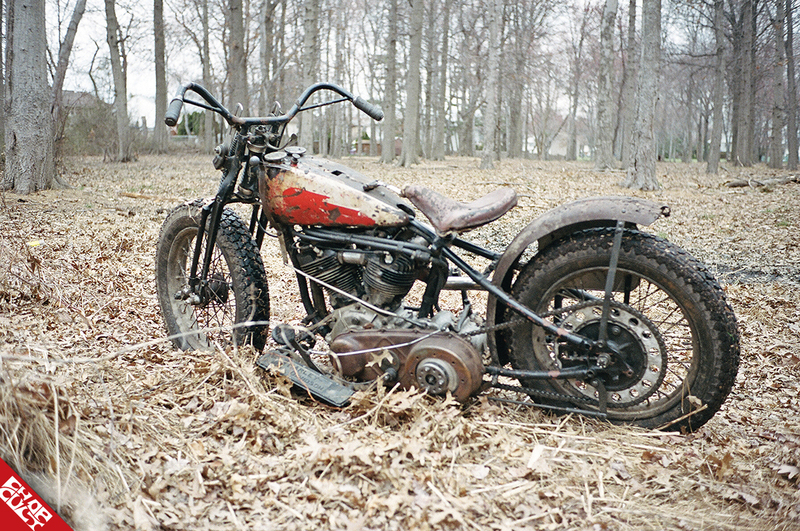 53 issues later, Greasy Kulture is still spreading the back-to-basics, get-yer-hands-dirty gospel: buy an old bike or hot rod, use it regularly, learn to fix it. There is no better fun to be had in this wicked world. Well... nearly. 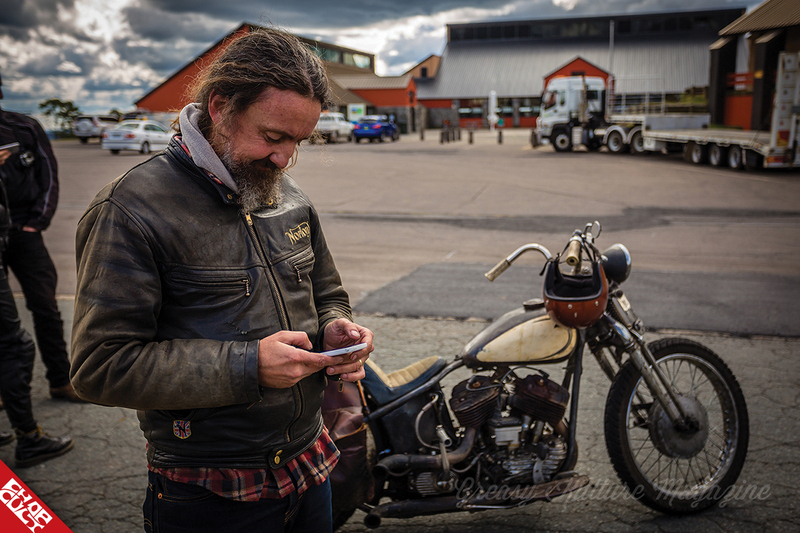 And now we sell selected gear to go with the bikes: helmets from manufacturers and longtime friends like Biltwell; boots from heritage makers we have used and loved for decades, like Red Wing. 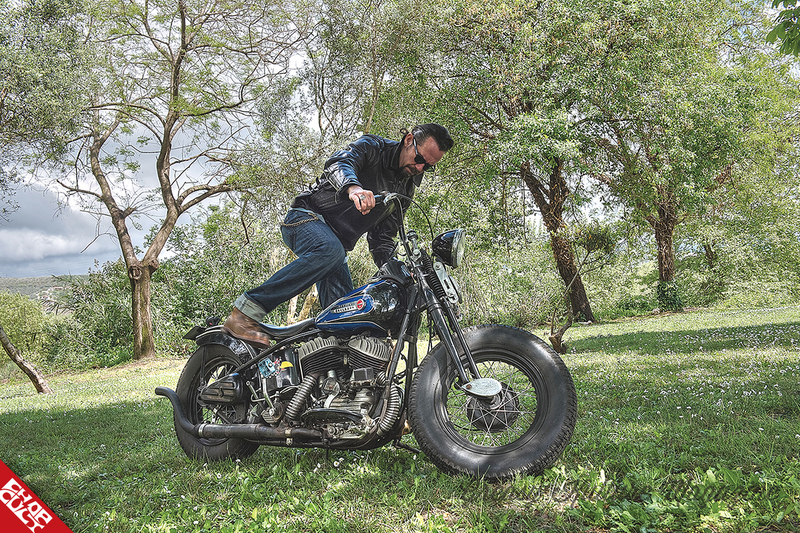 Jackets from the weatherproof-kings, Belstaff. And lots of other brands we like – and believe you will too. 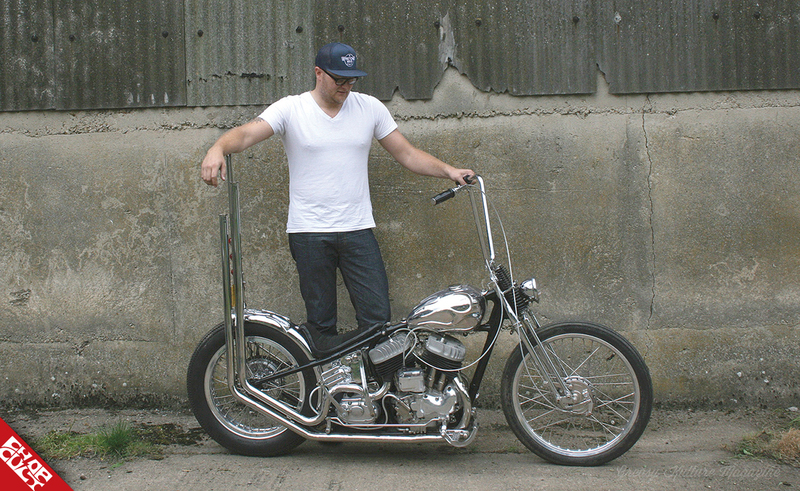 Tom Paterson's amazing flame-tanked, Born Free-build 45 flattie is on the cover of GKM issue 53 and the new magazine covers the whole spectrum of old custom machines, from show to go. 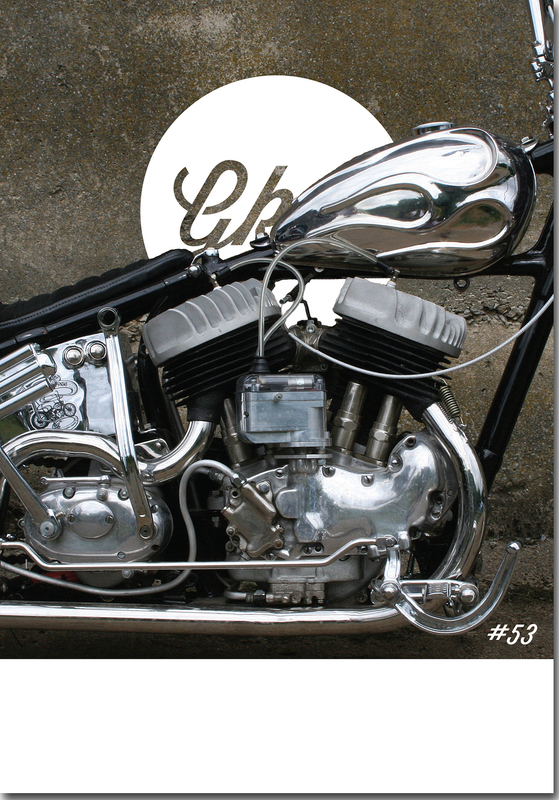 Keith from Eat Dust is a good friend of the publishers and issue 53 features some photos of his stonking '60 Pan-Shovel, photographed by Bram 'The Baron'. 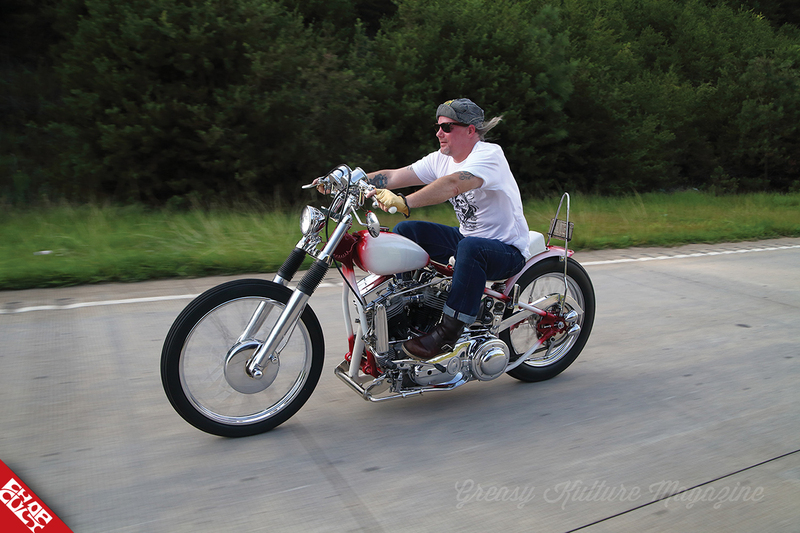 There is also some great coverage by Roger Chambers of the highly successful inaugural Boogaloo Invitational hot rod and chopper event in Australia; photos, too, of the UK event the Trip Out's Biker Build Off entrants and their bikes, ranging from chromey to crusty. Get your copy now at greasykulture.com and all good independent retailers! 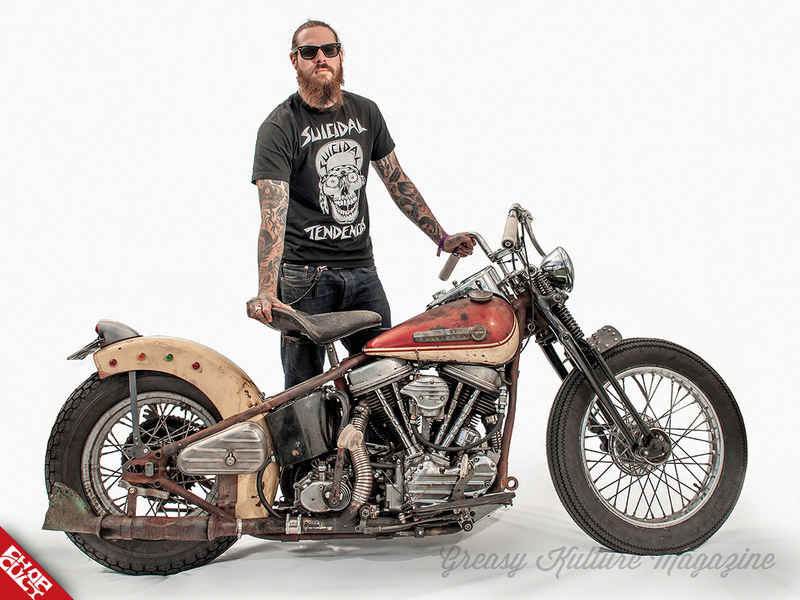 Follow Greasy Kulture on Facebook and Instagram.